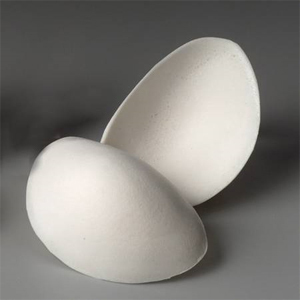 The foam shape enhancers fit over natural breast to add fullness and shape to any bra without the weight. The foam shape enhancers help lift and fill each cup to give a younger look to any figure. They are symmetrical for easy fitting and are great with swimsuits. This product is temporarily unavailable. Please contact Breast Form Shopping for more information.